22 Jan 2019 Schedule adjustments; Conference calendar .ics file created. 21 Jan 2019 Location section updated with inormation about gaining access to the building, getting your badge, and finding the meeting room Schedule updated to include information about Thursday Conference dinner. 27 Nov 2018 Additional Hotel (Hotel Züri) added to Lodging section. 22 Nov 2018 Meeting location updated to include street address. CalConnect XLIV will be held in Zürich, Switzerland, the week of February 4-8 2019, hosted by Google in Zürich, Switzerland (see the Location tab on this page). In addition to our usual conference, we will host an Open Codefest on Monday February 4th prior to the conference, and a Public Workshop on Time Zones on Tuesday afternoon during the conference. CalConnect Public Codefest: Monday February 4th will be an all day (0900-1730) Open Codefest / Hackathon taking place at the Google facility. This event is open to the public but you must register in advance. Note that catering will not be provided. There is no fee for the Codefest. You may register for this event at https://www.eventbrite.com/e/calendar-and-scheduling-developer-day-zurich-tickets-51512514317. CalConnect conference attendees must register separately to attend the Codefest. CalConnect Public Time Zone Workshop: The Time Zone Workshop will be Tuesday February 5th from 13:30 to 17:30 at the Google facility. This workshop will be focussed on the potential impact of EU Summer Time changes and how the changes might be mitigated; please see our news release. The workshop is open to the public but you must register in advance. There is no fee to attend the workshop. Attendees are invited to stay for a Welcome Reception following the workshop. More information will be provided as planning continues. Please register for this event at https://www.eventbrite.com/e/eu-dst-timezone-change-public-workshop-tickets-51513763052. CalConnect conference attendees are requested to register for this workshop via the eventbrite link in addition to registering for the conference itself (see below). CalConnect XLIV Conference: The conference will be Tuesday-Friday February 5-8 at the Google facility. This event will be organized in our new conference format and brings together, as a single event and with a single fee, our traditional conference and technical sessions. Note that the "track" organization at the September 2018 event will not be used; we will organize sessions for best fit and relevance. Additional changes to the structure and format will be made in accordance with feedback from the previous "one time" event in Karlsruhe. CalConnect XLIV is open to members, and to non-members as observers. You must register in advance and pay the registration fee for the conference. Please register for the confernce at https://www.calconnect.org/events/event-registration-payment. Interoperability Testing at CalConnect XLIV: If you are interested in or planning to test at this event, please visit this document: TESTING PLANS. On that page you should provide name, e-mail address, organization, what you want to test (e.g. CalDAV basic, Autodiscovery, etc.) and (if possible) who you want to test with. If you cannot access the page please e-mail Test Request with the above information (and to let us know you don’t have access). This will help us to plan for and organize testing, and also encourage other organizations attending the event to test. We will begin each day at 0830 (rather than 0800 as in the past) with coffee and tea.. The first session will be at 0900. The default end for each day is now 1730. Morning coffee and tea will be accompanied by fruit or rolls; however, you should plan to have your real breakfast prior to arriving at the venue. Registration is now open for CalConnect XLIV; please see https://www.calconnect.org/events/event-registration-payment to register. There is only one registration and one payment per person for the entire event. CalConnect XLIV and related events will be held at the Google Zürich Europaallee campus, Building H, Lagerstrasse 100, which is about 5 minutes from the Zürich Central Train Station. We will be in Meeting Room Heidi on the 2nd Floor. Come to the main door of 100 Lagerstrasse on the SE corner. There is a "door bell" which will give you access to the building. Go to the second floor and check in with Reception to get your badge. The meeting room is right next to Reception. Please see this map of central Zürich and the area of the Central Train Station: https://www.google.com/maps/d/edit?hl=en&mid=1Zxtd71LX8a5DuPugkT3U4LcMkjJ-tBAh&ll=47.3763806765764%2C8.528456845368964&z=16. If you travel by air, the easiest connection is via Zürich International Airport (ZRH). 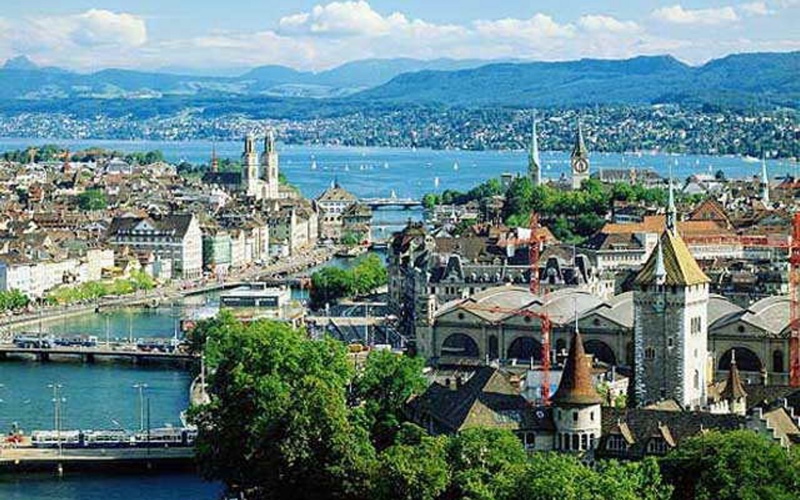 From the airport, the easiest way to get to central Zürich is by train; there is a direct train to the Zürich central train station every 5-10 minutes which takes about 10-15 minutes. Fare is from 3.40 CHF. You may also use the EuroAirport train from Basel-Mulhouse-Freiburg (MLH/SL/EAP) which takes about 1.5 hours. Train connections are also plentiful from nearby countries such as Germany, France, Italy and Austria. Google does not have a corporate rate at local hotels, so please book your hotel directly. Four choices are shown below in order of increasing distance from the venue. For early February 2019, a room with breakfast for Sunday through Friday is about 225 CHF inclusive per night. For early February 2019, a room with breakfast for Sunday through Friday is about 180 CHF per night (unclear if inclusive). Please Note: The schedule and content may be altered during the course of the event as circumstances dictate or new issues arise to be covered. Should we address microformats such as hCalendar? Formal profile for iCalendar/JSCalendar? Reactivate? Updates needed? Next steps? Move to publish?